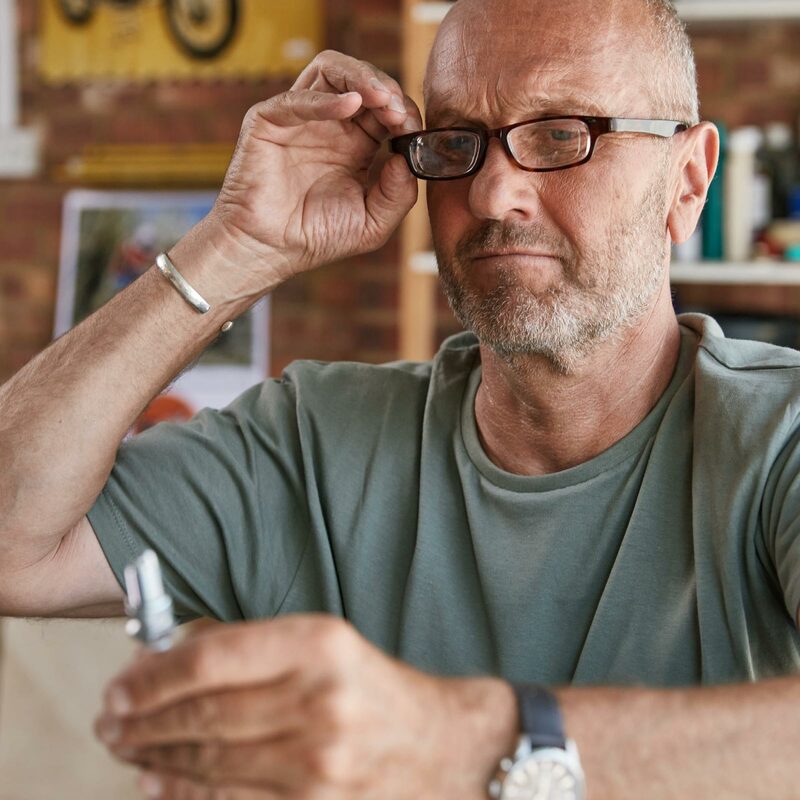 These Unique, Adjustable-focus Magnifying Glasses are the Only Pair You'll Ever Need! Introducing Eyejusters . . . the most versatile magnifying glasses you've ever seen! With an adjustable strength range of +.50 to +4.00 Diopter, Eyejusters enable the user to go from painting, assembling, detailing and repairing models and countless other projects to reading, reviewing reference materials and plans, working on a computer, or even fixing plumbing under the sink! 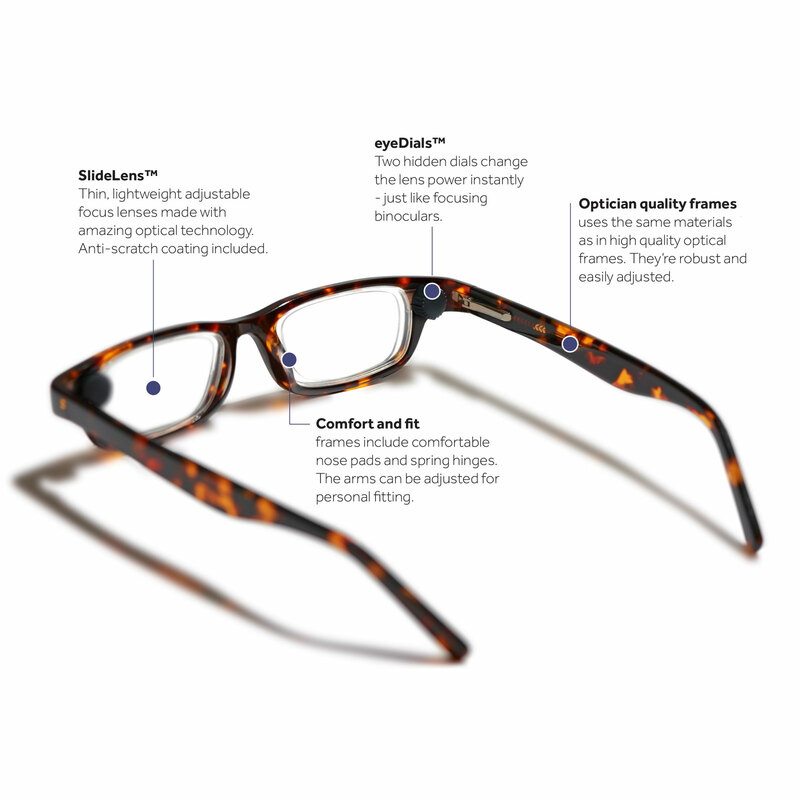 A simple turn of the hidden eyeDials™ changes magnification instantly. Gone is the need to constantly switch between different pairs of glasses . . . the odd, sometimes stressful tilting of your head required with progressive lenses . . . or fussing with clunky clip-on magnifiers. Classically styled Eyejusters are made in England using the same high-quality materials as opticians' frames, and feature comfortable nose pads with wing spring hinges that are built to last. Front lenses and ingenious sliding lenses are protected by a durable anti-scratch coating. Each pair includes magnetic-closing felt-lined hard case and microfiber lens cleaning cloth. Note: Eyejusters may be worn with contact lenses. Eyejusters are not designed to correct distance vision and cannot correct astigmatism. Not recommended for driving. 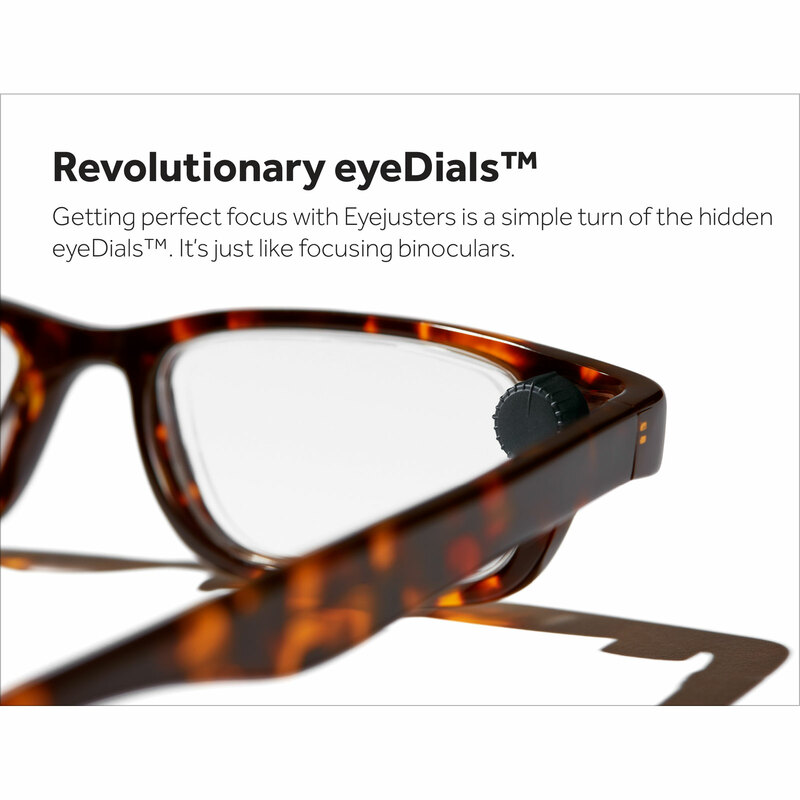 Eyejusters features include: Clear, constant focus across the field of view, and at adjustable distances. High-quality, hand-made optical grade nylon frames. Lenses protected by anti-scratch coating. 1 year manufacturer's warranty.